Falls are one of the leading causes of injury for residents who live in long-term care and retirement homes. Safety flooring may reduce injuries caused by falls in these settings. The purpose of this project is to learn what team members think about this novel product. Safety flooring can absorb some of the impact associated with a fall. This can help to reduce the risk of injuries to the hip and head when somebody falls. 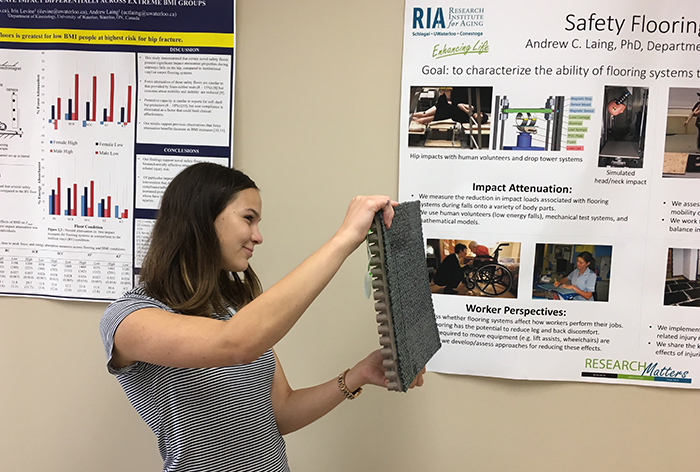 Research has been done to understand how safety flooring might protect residents in long-term care and retirement living when they fall, however, there is little research on how team members who support the residents feel about safety flooring. The purpose of this study is to understand team member’s perspectives on safety flooring including the pros and cons for injury prevention, and how it may affect their ability to do their job. The results will be used when developing the safety flooring in the future.